Instantly turn your push bike into an electric one with the Electron Wheel to electrify your bike instantly. 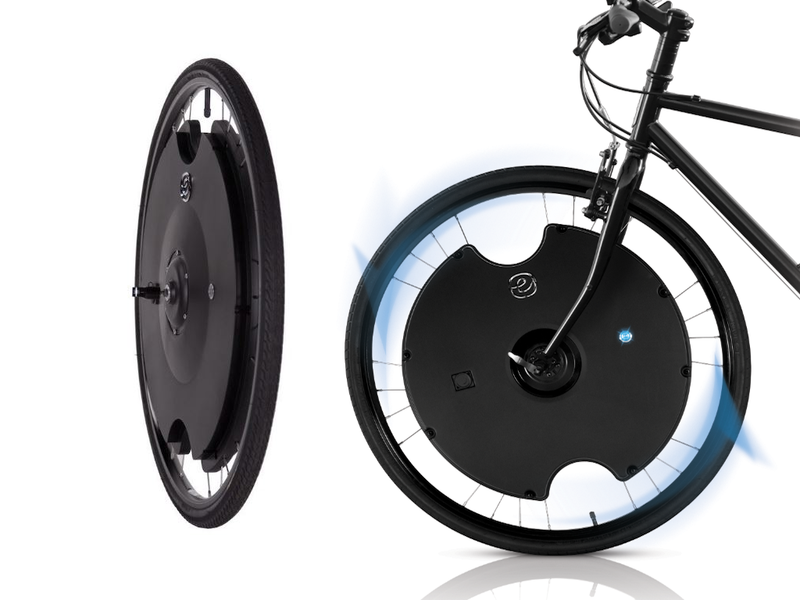 This cool wheel contains a motor that is powerful and can convert your bicycle into an electric pedal assist vehicle. To use it all you need to do is remove your bicycles front wheel and replace it with the electron wheel. 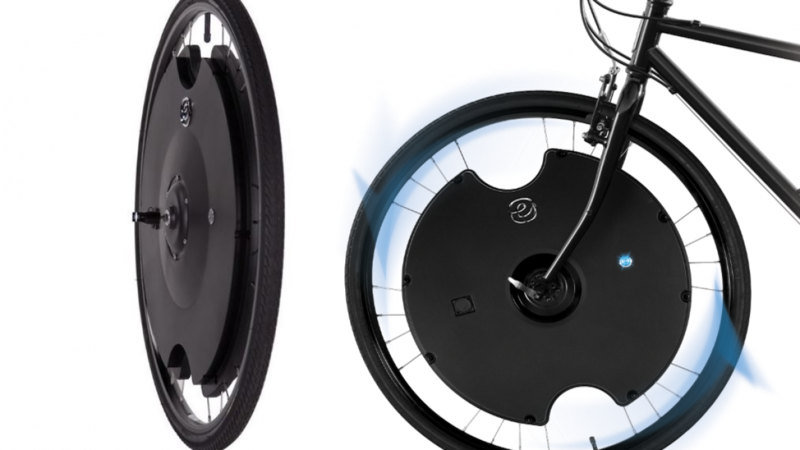 The wheel fits on most bikes and features a battery that is strong enough to give a good kick of power. You still need to pedal your bike but the electron wheel will assist and make it easier. Ride up hills easily as the wheel will essentially neutralize the extra effort that you would usually have to make. It is very easy to install even if you are not mechanically minded. No tools are required for the installation of the wheel. According to Electron it takes most users only around thirty seconds to install the wheel. There is a specialized app that you can use in conjunction with the electron wheel. It is not necessary to use the app in order to use the wheel, it is optional. Features of the app include tracking your wheels battery life, distance tracking, speed tracking, mapping and updates to firmware to keep your wheel up to date. 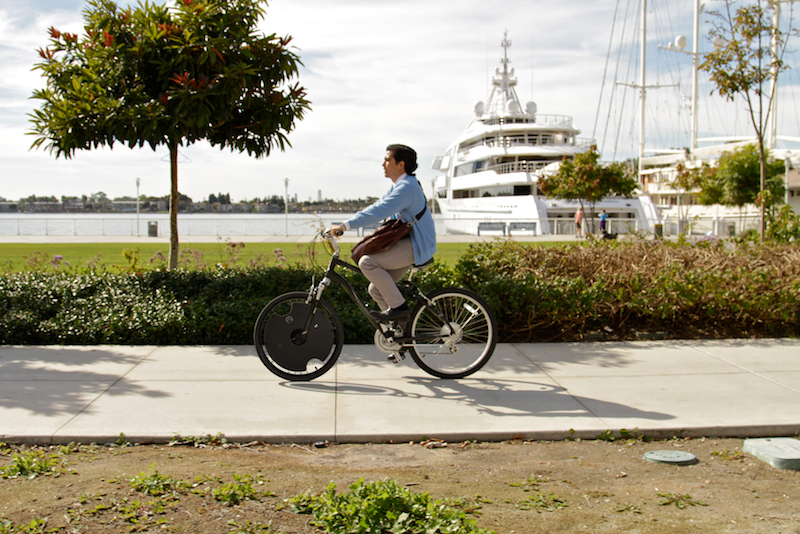 With the Electron Wheel you can ride without breaking a sweat and enjoy being out and about. You will find this useful if you are not as fit as you wish you were. With this wheel you can ride further and still feel ok afterwards because the wheel will give you an extra boost.